THIS is a cool specimen! 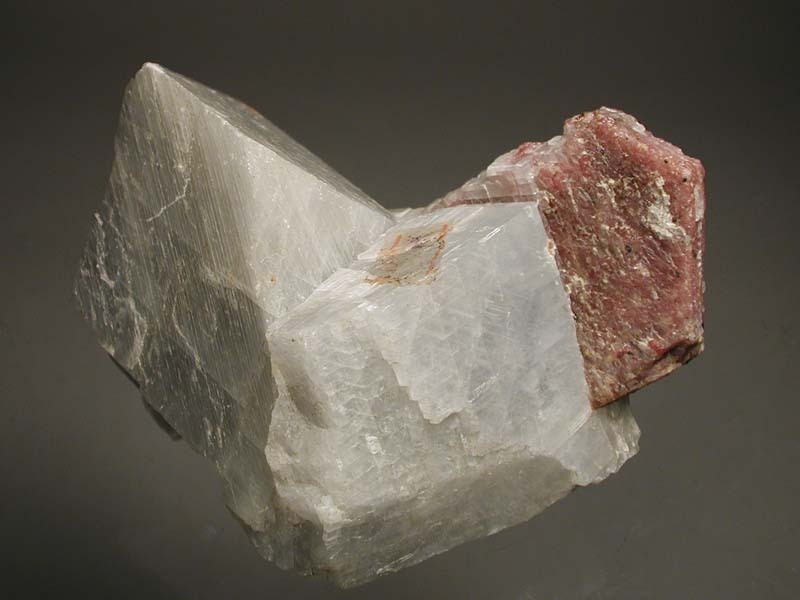 It has a sharp, tabular, hexagonal corundum crystal protruding out of very coarse calcite cleavages! 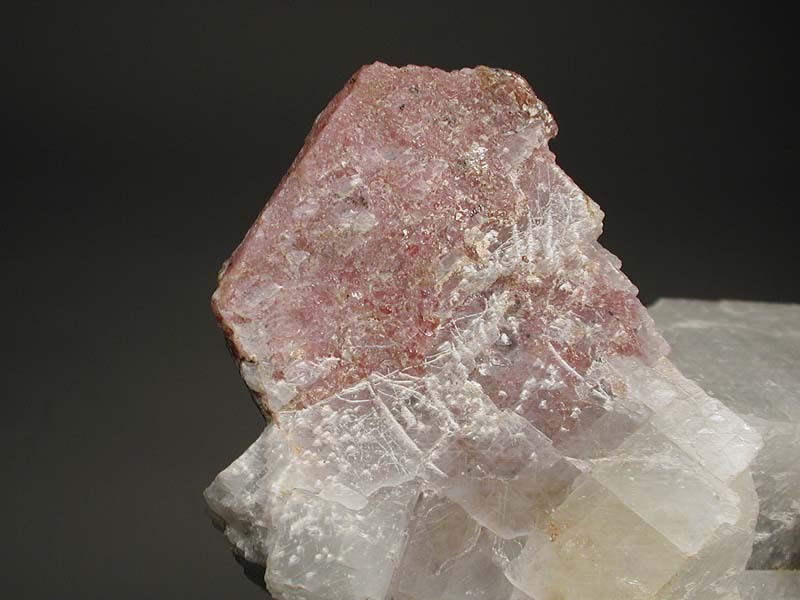 The corundum crystal is a red, ruby variety and shos a prominent pinacoid bounded by short prism faces. 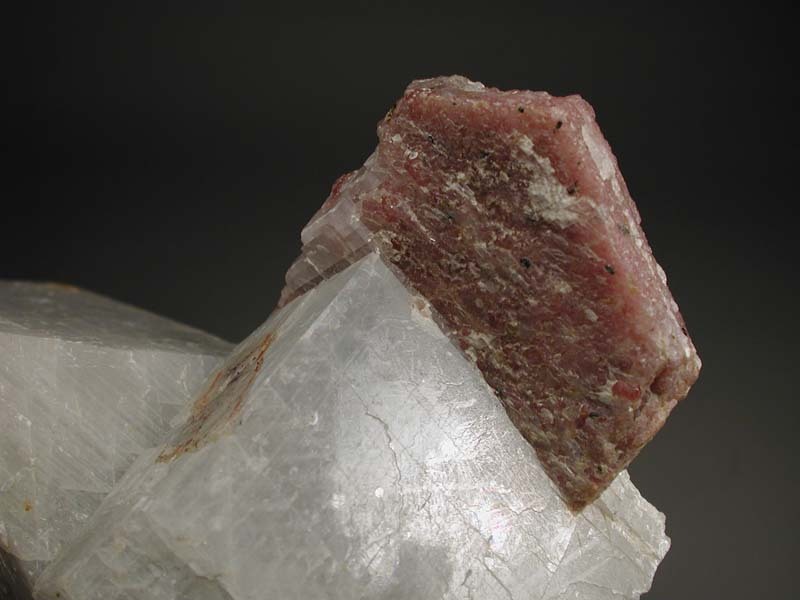 It is complete with some calcite attached to one side. Very unusual and displays perfectly!